Homeowners throughout the Palo Alto, Menlo Park and Sunnyvale communities are known to be proud of their investments and show this trait in many different ways. Perfectly manicured lawns, impeccably kept walkways, and well maintained homes boast clean exteriors and superbly decorated interiors. It is no coincidence that homes in these neighborhoods retain their property values and are not on the market long before being snatched up by eager buyers. Most resident homeowners and property managers in these coveted districts take as much ownership of the environment as the do their own residences so when it comes time to make necessary repairs such as roof replacement, they often look for the most energy efficient options available. With the advent of the green design movement, contractors have become environmentally responsible and proactively searched for ways to incorporate the most diverse and energy efficient methods of completing repairs and new construction projects. New technologies have also been instrumental to professional contractors because information is readily available and customers can instantly see a digital image of what their home could look like with a hypothetical design changes. Various tweaks can be made to accommodate personal preference, building materials, and the construction budget. Re roofing and emergency roof repair projects are great places for contractors and customers to create affordable and environmentally sound solutions to common problems for aging homes and other structures such as apartment buildings and office complexes. A professional roofing contractor can accurately inspect a roof on virtually any structure to determine the nature of the problem and the most appropriate roof repair method for the task at hand. Both patch jobs and total roof replacement assignments offer customers a chance to make necessary improvements in an energy efficient manner. 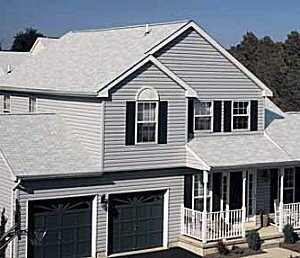 Light colored asphalt shingles reflect heat away from the home, unlike darker colors which allow the heat to absorb into the roof and upper levels. This one simple change can save homeowners and property managers thousands of dollars in utility bills alone. A roofer may also recommend implementing color changes to ceramic, metal, and other composites during standard roof repair orders. Rainwater collecting vessels can also be coordinated with other home accents and used as a natural way to water lawns, gardens, and flower beds. These modern design concepts are stylish, efficient, and durable solutions that are effective ways to reduce the carbon footprint produced by the household or apartment complex. Anyone in need of a professional and experienced roofing contractor will automatically seek a local roofing company that is both reputable and responsive to customer requests. If you are in need of roof replacement or repair, or simply have questions about the process and options available, contact us today for more information.